EMG is founded by Greg Farrett and Willem van de Velde after they leave senior communications positions at GE Plastics. With ‘virtual offices’ in Brussels and London, the centre of EMG activities is a garden shed in Bergen op Zoom, sometimes referred to as “EMG Towers”. In 1991, EMG’s equipment included two Apple Mac Classic computers (9-inch black/white screen, 4 megabyte + 3.5 inch floppy disk drive), a laser-printer and a coffee-table sized fax machine. The latter was seen as essential for fast communication with clients and suppliers, as there was no email. Soon afterwards we acquired a mobile phone – about the size and weight of a couple of bricks! Thankfully, in subsequent years, communication tools have become more powerful and efficient, allowing us to focus on the actual content of messages rather than on their transmission. A cold winter and cramped conditions force the team to look for alternative accommodation. In 1992 EMG moves its offices to an ex-school building in Hoogerheide. Interestingly the building was used as an operational centre for the US Military stationed at the nearby airbase. Geopolitical events and East-West agreements saw a scaling back of US military personal in the Netherlands. EMG moved in like a shot and incorporated Dutch aviation history into our address – Olieslagerslaan. EMG’s first K-show was held from Oct 29th to Nov 5th – it was a much longer show then. For me it began 3 days beforehand when I visited a warehouse in Düsseldorf holding 10,000 special editions of European Plastics News (EPN) which EMG had agreed to distribute to the top 30 hotels in the area. EPN, recently transferred into new ownership, wanted to make more of an impact at the show, but their main competitors Modern Plastics International (no longer with us) and K-Zeitung controlled the English and German language show dailies handed to visitors on entry. I came up with the bright idea of trying to reach the visitors before they got to the Messe. Remember this was pre-internet so no e-mail blast or social media posts. I negotiated with all the major hotels to place EPN in their guest rooms and then delivered 200–500 of these special editions to each hotel. As a “guerrilla market” program it was so successful that it impacted show catalogue sales and take-up of the show dailies. Since the day I joined as the 3rd partner, I have been proud and happy to see compelling stories about our clients published in the press. BUT…..events are my passion. Turning an event into a 360° communications programme which makes the internal team feel proud of their company and creates business leads always gives me a special kick. Working against a deadline is when I really feel a close partnership with the client, forging friendships that will last a lifetime. I started in October 1993 at The European Marketing Group, now better known as EMG and I retired in June 2013. In almost 20 years the world and EMG made huge steps in communications and computers. I remember the first server we had in the Hoogerheide office. Joke and I worked on our own Apple computer but at that time it was alreay a step forward to have a server on which we both could work and save the press releases. It was another I-Mac with a 32 or 36 MB capacity! The future is digital – and for us it started here. In 1994 we applied for our first email address: emg@zeelandnet.nl. We were not that keen on the Zeeland connection as it placed our global head office in a province beside the one in which we were located. But at least we were online. Our very first steps into high tech came with client Euro-Log. Originally established in 1992 by Deutsche Telekom, France Telecom and Digital Equipment, the EURO-LOG joint venture provided a platform for the integration of logistics data and processes for Europe using the recently introduced GSM service. EMG supported Euro-Log with newsletters, media relations, trade show activities, advertising and corporate events. Prior to gaining our company email address we had always used courier services or fax to transfer texts between ourselves and our in-country translators which placed clear timing parameters on approvals and sign-off from clients. The immediacy of information transfers brought about by access to email caused us and our clients to let some of this discipline lapse. The consequence was that at 3.00 am on the opening day of the show Willem and I were still in our Hoogerheide office waiting for a number of multilingual press kits to be finalized before we left for Dusseldorf. But all ended happily as we negotiated access to the exhibition halls at 6.30 am delivered the kits to our clients stands. Then back to the boat for a shower and back again at 8.00 am suited and booted for our first dates with the media. Since joining EMG, there have been a few lows, inevitable when you have completed 500+ long-haul economy flights, but infinitely more highs: the people, the laughs; the buzz after completing a project successfully with clients. I particularly remember being thrown into a pool at 2am during a client toga party in Cyprus…..
One of the big successes is the establishment and operation of EMG China. I have been involved in this from the very beginning – and have attended all key events, including some 12 Chinaplas shows, AsiaCom meetings and company anniversaries. One of the best moments working for EMG was K 1998 when we had a first 'full-on' media relations and exhibition management programme at the K show for a number of clients including AlliedSignal. Today I always look forward to the K-show as we meet so many old friends from both the commercial and the editorial world; and it is really great to see our Team in optima forma – working closely with up to 15 clients and partnering with the trade media to make it a communications success! As a team, we work well: we help one another out and we are all working towards one goal; meeting client expectations. I particularly enjoy building up a media relations programme from scratch – from developing messaging to running successful global communications programmes for companies such as Clariant, Borealis/Borouge and Guardian - in Europe, the USA, from the Middle East and Asia to LatAm. On the other hand, as a team we also party well – especially at the end of major trade shows, or during our own events, such as our recent EMG 25th anniversary trip to Barcelona. It is said that punctuality is the politeness of princes. However, once in a while, things go very wrong. I remember arriving at the airport, carrying my husband’s passport instead of my own. So, after a different flight and train journey, I finally arrived 5 hours late for my first official appointment at a new client. My contact person explained to the group that I had been delayed in Brussels and had to switch airlines. Everyone around the table nodded – yep, airlines, always a problem…. I started working for EMG 17 years ago, and yet I still enjoy working at EMG. The first big change was when we moved in 2000, from an old school into a brand new building which needed to be finished, completed and decorated. I was given the job of arranging and overseeing this as I had had some building experience at my previous job. We assembled a “Decorating Team”, and with input from all our colleagues we “delivered” an open, attractive and modern office environment that is still good to work in. Of course, much has changed. We have consistently grown – from a small team to the global business we are today. For me, in my financial role, the biggest impact was the investment in an ERP Software package, Maconomy/Deltek. Since we adopted Maconomy/Deltek in 2009, we have made tremendous strides forward in our finance and project administration. Working on more than 500 projects a year, for a growing number of clients, means that we are constantly seeing increases in the numbers of timesheets, expense-forms, vendor invoices, purchase orders, sales invoices, clients POs etc. In addition, our clients are increasingly looking for more administrative/financial details. One thing that has not changed is the “open” environment. From colleagues to Board level, everyone is always willing to help and offer support. I am proud to work at EMG and I hope to go on for another 10 years - at least. I have been with EMG for more than 17 years. During this time, I have seen the company evolve from a small group of people who communicated mainly by phone and fax to a sustainable, international business with offices abroad and partners around the globe. The work we do is varied and involves quite a lot of travel. People often think that working for a large multinational offers more experience, greater challenges and better career prospects. However, EMG gives me the opportunity to grow with the business, expand my knowledge and work with clients in a personal and flexible way. Best of all, because we support so many large companies, we get to see how they operate and “experience” their internal politics. All in all, every day is different – and every challenge is an opportunity to acquire new skills. Suddenly everyone was online and offering services. EMG got involved in many ways. Firstly by starting what was internally known as EMG Online – a service to develop both glossy and database-driven websites for our clients. And secondly by adding some very dotcom clients to our portfolio. Key amongst these were Spain-based MachinePoint.com – a website offering used plastics machinery and Omnexus.com – originally a web-based portal for plastics professionals. EMG first introduced Omnexus at K2001, where Paulien Boumans not only coordinated the stand and the hand-out of hundreds of catalogues but was also in charge of the specially selected cocktails for the daily Happy-Hour event. In 2000 we were joined by Henk Burgers, a specialist in graphics and print programmes. Having worked closely with Henk for a number of years (he was responsible for our very first business cards and stationery back in 1991) Henk’s experience enabled EMG to expand its activities in the development and placing of advertising campaigns for a growing number of clients. As a life-long IT-person, I have seen the world of communications change beyond recognition during my time with EMG. Back around the year 2000, my first trips across to the EMG offices would include carting this state of the art (and rather heavy) laptop. Note its emergency boot floppy disk, backup CDs and, for good measure, some spare dot matrix printer paper for printing out and debugging code. It does still boot its Windows 98 operating system which is impressive in itself but with no broadband, no wi-fi, and only an international call back to the UK via a 56k dial-up modem, there was certainly more screaming and less streaming! Following a year of planning and preparation EMG has relocated to purpose-built offices in the historic market town of Bergen op Zoom. The company’s rapid growth, particularly over the past two years, has been the primary driving force behind the move. Significant growth in business – in revenue terms EMG is now ranked the 12th largest independent agency in The Netherlands – and an almost doubling of staff since the beginning of 1998, resulted in the need for more space, as well as a building better able to accommodate the integration of electronic technology – an increasingly valuable marketing communications tool. Bergen op Zoom was selected as the location for the new EMG Building because it provided access to a more highly developed service infrastructure, while remaining within the same general area - Bergen op Zoom is less than 10 kilometres from EMG’s original office site. This has enabled us to retain the benefits of relatively low business rates and convenience for locally based staff, coupled with the continuing ease of physical communications with the main European commercial and industrial centres. The move to purpose-built premises has also allowed us to revise and upgrade our internal operating systems and this will, over time, benefit clients and associates through improved service efficiencies that include the addition of enhanced IT capability. There have been too many highlights in my 15 years at EMG to pick the highest. Disregarding parties, Christmas dinners and the like, many of the milestones that come to mind relate to the online tools we have provided to our clients over the years. When I joined EMG the FileMaker Pro List of Journalist database wasn't much more than a list of journalists and clips were cut, glued and photocopied to create phone book thick reports. Since those days a lot has happened: PressReleaseFinder, EMG's Media Information Centre and the EMG Portal are just a few tools I'm proud to be contributing to and I wonder what the communications world will look like 25 years from now. When I first joined EMG in 2001, we checked all the hundreds of magazines we received every month, photocopied any relevant articles in black/white and physically glued these copies onto a sheet of paper, ready to be sent to the client – by post. Later on, as the Internet became more accessible to us, we would check around 20 websites every day to get additional digital clips. Subsequently we started using Google Search to further help us monitor media activity. Today, we have a complete media monitoring system that allows us to offer our clients a range of possibilities – from standard clip to infographics and newsletters. In 2002, EMG launches Eurocom Worldwide, a global PR network that today has 33 member agencies comprising over 500 communications specialists and consultants in 55 national capitals and centres of commerce around the globe. What I love about EMG is that no two days are the same. The work is varied and interesting – and there is never a dull moment here in the office. I get involved in many different jobs – and recently I supported one of our key customers with their 1100th press release (and yes, we were also involved with the other 1099). The EMG-team feels like family, they are more than just colleagues. As a multi-tasker, I man the reception at EMG, so my desk is at the bottom of the stairs. I can recognise anyone by their footsteps – long before they get here. Colleagues are amazed – and sometimes they try to disguise the way they walk – but I catch them out every time! March 2003 saw EMG taking its first steps toward doing business in China. The SARS- coronavirus outbreak in 2002 and concerns around its ability to spread through contact created a ‘perfect storm’ in China. Research in early 2003 had shown that Polygiene, a new amino compound, could protect against the spread of the virus. So armed with brochures and press kit folders I set-off on mine and EMG’s first trip to Beijing. I encountered an immediate challenge at Schiphol when the check-in assistant explained that a Euro 3500 excess baggage charge was due on the three holdalls of print materials that had arrived too late to be shipped by courier. Euro 1000 later and some juggling of the load I was on the flight taking around 40kgs of the materials as hand-luggage. The rest is history as the press conference in Beijing was well attended and a follow-up press briefing took me to Shanghai where I met with DSM, GE and Trespa to discuss their interest in us setting up locally. We established EMG China in September 2004. Given the opportunity to finish my communications degree here @ EMG (2004) with just GE Plastics experience to show for. Starting with a multi-lingual brochure & website program from Honeywell to a digital marketing campaign for JamesHardie – great journey! EMG goes to great lengths to make everybody get the opportunity to relax and party – they even buy you a separate ticket to fly over for one evening to have diner in Barcelona! That’s dedication to having a good time! Working at EMG feels like working in a family business, not just with colleagues, but also with my own family. I remember how, when my children were younger, they came to the office, together with Marianne’s kids. We were going through a busy K-show preparation period and we did not have babysitters and our husbands weren’t home yet from their work. The kids took control of one of the office trolleys and staged an impromptu race in the office. None of our colleagues complained. Today both my children are still involved with the EMG family, this time as part-time employees: Jasper assists with the EMG clippings-service and Marjolein helps to file magazines in the library. All in all EMG is a great place to work – and I appreciate the way we are able to balance our private and working lives. As a major cost saving and efficiency improvement on individual companies organising their own separate press presentations, EMG offers the opportunity to join a multi-client press briefing in the run up to the K show. The event format, which guarantees the attention of the plastics and rubber industry's top editors, provides each company with a four-hour time slot - an allocation of three hours for press conference and one hour for one-to-one interviews and the hosting of informal discussions. This professionally organised and co-ordinated event delivers the attendance of key editors and significant cost savings, through shared venue charges and editors' expenses, as well as full supporting and follow-up services. Over the past 12 years, I have seen some amazing changes in the way we work. When I first started at EMG, we used to send clients regular print-outs of their media coverage. Massive books, often in multiples, that had to be sent by mail. Today, the process is digital, fast and functional, with not a paper copy in sight. One thing that has not changed is our need to eat. For me, here the buzz-word is “lunch”. On my very first day at EMG, I was treated to a so-called “petrol-station lunch” – a quick sandwich and drink eaten in the car whilst travelling to an appointment. Over the years, I have been involved in many different activities for a range of clients – and these have taken me to many different locations around the globe. But whatever I was doing, there was always lunch – in many forms. Mostly in busy trade show halls – grabbing a quick bite – usually pre-packed sandwiches with a best-before date of 2020 and beyond. When I spent some time in China during Chinaplas 2008, I was asked for my lunch-order promptly at 08.30 every morning. There was one particular lunch in a Luxembourg manufacturing facility that still gives me nightmares. Thankfully there have been some interesting lunch experiences too, the most memorable of which was in an outstanding 5-star hotel in Dubai. When I joined EMG, almost 10 years ago, there was an event planned to celebrate the 15th anniversary. What a great start: 2 days of teambuilding and entertainment here in Holland. Then 5 years later, a trip to London and now the 25th anniversary! No matter what sort of event needs to be planned, EMG can do it! This year, EMG marks its 15th anniversary. The company has built its success on its multi-cultural, multi-lingual approach. EMG staff understand that whilst marketing and communications disciplines are more or less similar the world over, there always has to be a local flavour to every message. Greg Farrett: "We set up this business at a time when many companies began to see the opportunities offered by the single common market. However, marketing and communications managers soon realised that single market did not mean "single message". At EMG we understood the value of retaining the central corporate message, whilst allowing country sales forces to deviate from the central message - up to a point." "Our first key business expense was a fax machine, which at the time cost around 10.000 guilders. We had to buy one, because we knew that without it, we simply could not communicate effectively. Although we still have a fax machine in our office today, we predominantly use email to communicate with customers and suppliers. And so do our customers." It was a sad day for EMG in 2007, when Joke Harteveld died. Joke joined EMG as soon as Greg realised that he had to type his own correspondence, probably during our second week of operations in June 1991. Correspondence, bookkeeping and admin – Joke did it all. Always cheerful and ready to pitch in, she helped us collate and staple press releases, stick photographs and slides and copy-type translations that came in by fax in the days before computers and printers learnt to do most of the boring jobs. Joke also introduced the not-so-healthy Friday gourmet lunch: chips from the take-away across the road from the office. Joke was very much part of the early EMG days – and some of the longer serving EMG people can still be heard quoting some of her more humorous sayings today, especially when things go wrong. I vividly remember the celebration event for SABIC after they acquired GE Plastics. We managed to create a feeling of belonging for the employees, an opportunity for dignitaries to meet the SABIC board, involved the local and national press as well as the chemicals and plastics press. From briefing to completion we only had a turnaround time of 5 weeks; including arranging temporary meeting facilities and catering for 2000 people on-site; safety, security, logistics and etiquette surrounding board members; organise plant tours as well as video and PPT presentations on the day and as a memento of the event. EMG pulled together as a team to create success for our customer in such a short time and with so many different angles and details. Finding accommodation during big trade shows can be challenging. At EMG we have probably seen it all, and we don’t have a reputation of being too picky. However, there was one time we actually walked out: It was on the night before the SPS show in Nuremberg that we finally met our limits: The “hotel” was located in the suburbs. The room was like a prison cell, but that was not the worst. To reach it, you had to step over a dozen Polish truck drivers who were sharing an awful lot of beer. You had to pass this jolly bunch not just to get to the room, but every time you needed the toilet – or wanted to take a shower (more a closet in the corridor). It took us less than 10 minutes to decide that we would be better off saying farewell to free drinks and what could have been an interesting night, for the sake of a good night’s sleep and to the benefit of our client. So we jumped back into our car and embarked on a quest to find a more comfortable roof over our heads. This was not easy in fully booked Nuremberg – but we did it. At EMG, most of the time, we are hard at work for our clients. But we do have some lighter moments too – especially during “funny” team events. For example, in 2009 we staged the “EMG Way to Wintersports”, when we turned our main meeting room into a “snow-filled” arena and played wintersports games on the Wii. In my job I am able to work with many different high-level, international people and companies. We have access to top management executives, something which is pretty unique, and this makes every day interesting. I particularly enjoy promoting EMG through networking – I prefer face-to-face discussions and I enjoy the mix of working at the office and travelling. I also genuinely enjoy the company of my colleagues. Not only the mixed cultures/experiences they bring, but also a pleasant atmosphere. Some of my personal highlights include being invited to a Michelin star restaurant in Cologne, as a reward for a successful K show, travelling through Korea, customer parties in Orlando and Chicago. Particularly memorable (maybe not in a good way) was my first trip with Paulien to Italy, during which she broke her laptop at airport security, we almost missed the plane and I lost my car keys. EMG has a long tradition of organising the annual EMG Family Day. In 2009 the destination was Bergen op Zoom! Since joining EMG in 2010, I have worked on more than 60 tradeshows, conferences and/or events for our clients. I particularly enjoy working on tradeshows to support our clients – the work is varied: from media relations to coordinating the stand design/build; to also handling the stand management on-site. If I have to pick one highlight, it would have to be my first K-show in 2010. I didn’t know what to expect and found out that it was really, really hard work but also lots of fun, sharing time with clients and especially with EMG colleagues. I can still recall a few funny conversations :-). Oh – one other highlight for me was a ski trip that was part of a K 2013 planning meeting in Austria. I found that skiing was not really my thing, but the apres-ski definitely was! Walking around Düsseldorf visitors of K 2010 may have noticed the "Follow The EMG Way" signs drawing attention to our best practises programme: The EMG Way™. A sustainable type of graffiti created by cleaning specific surfaces with a high pressure water pump. I remember when colleagues Paulien, Suzanne and I were supporting two of our clients (AFA and Avery Dennison) at Interpack in Düsseldorf in May 2011. At the same time, Düsseldorf was hosting the 2011 Eurovision Song Contest. One night, after a long day at the exhibition, we went out to grab a bite to eat and have a drink in the “Altstadt”. The streets were flooded with people all dressed in their country’s colours, waving flags and getting ready for the second semi-finals. Quite an experience, especially when the Dutch candidates came on (3JS – ‘Never alone’) and Suzanne started singing along in the middle of the bar. A perfect example of how we at EMG like to mix business with pleasure I would say. Sadly, the Netherlands didn’t make it through to the finals that year – in fact, they finished last in their semi-final - although it definitely wasn’t for a lack of enthusiasm on Suzanne’s part! EMG was established in 1991 - twenty years ago. At that time, many industrial companies were actively coordinating their pan-European communications activities - and were looking for an agency that could operate in a multi-lingual and multi-cultural environment. EMG was established to be that agency. Since those early days, EMG has come a long way. Today we support clients all over the world and help set their communications agenda. Some of our first projects were to promote clients who had just obtained ISO 9001 certification - often a first in their specific industry. And while ISO 9001 is no longer hot news - there are still plenty of topics, products and solutions to discuss. For example, in the chemical industry REACH today is one of those topics. We can ask ourselves are regulatory affairs a threat or opportunity? And how do we communicate about this? EMG has consolidated its long-established relationships with local partner agencies in Asia with the formation of the regional EMG Asiacom network. The network provides local PR and communications expertise for key markets in the Asia Pacific region including China, Singapore, India, Japan, Korea and Australia. EMG’s history of working with local agencies in Asia extends back more than 15 years. In 2004 it established its own presence in Asia with the opening of its Shanghai office, followed by Beijing in 2007. Over the past 8 years, the company has built a reputation as the leading B2B/industrial agency in China and today involves a team of over 25 local professional communicators. Building on this local presence, and its operation in Singapore established in 2005, EMG has worked on strengthening its local partner relationships and forging a cohesive regional capability that offers clients a singular point of contact with proven B2B and industry know-how that can deliver across the region. Regional programmes are managed through EMG’s proprietary online tools and integrated into clients’ global structures as required. Programmes can be managed from Europe, Singapore or Shanghai as best suits the clients’ needs and structures. When I started to work at EMG, it was quite a challenge. So many different systems: portal, MIC, PRF (admin), Maconomy and I couldn’t get the hang of it. Nowadays most of these systems are my every day job. I like the whole Press Release part, from scratch till their moment of glory. I started at EMG in 2013 on April 1st, and this isn’t a joke. I succeeded Luus who retired as Media & Clipping Assistant. What I particularly like is researching new media for our Media Information Centre - finding publications that might be interesting for one or more of our clients - especially when it is hard to find details or publications about a specific subject. I am always very happy when I manage to find the right information. Nowadays you see a change as digital media and social media are getting more and more important every day. So you can get more information via these channels. Media also give more information about website visitors and impressions and magazines are available both in print and digital format. It is nice to see EMG is a company where employees stay for a long time. And no wonder. EMG is a very socially responsible employer. I have experienced that myself when both my husband and I were ill for longer periods. All the support we received and still receive is unbelievable. Big compliment to EMG and all my colleagues. We were very happy that we could also celebrate our wedding with all of my colleagues. I am very proud to be working for EMG and here’s to the next 25 years! EMG issued a global challenge to get fit and raise money to support Schools for Salone, a non-profit organization dedicated to transforming lives by building Schools in Sierra Leone. The campaign, which ran for 31 days (September 20th – October 21st), was designed to promote an active lifestyle, and to raise funds and awareness for Schools for Salone - specifically to give the fundraising effort for the Gbumbeh Primary School a strong start. Schools for Salone is a non-profit organization that partners with local villages in Sierra Leone, West Africa, to rebuild the schools devastated in the ten-year civil war that ended in 2002. Since 2005, Schools for Salone has built 15 schools, and 2 libraries. The Gbumbeh Primary School is one of the schools waiting to be built. 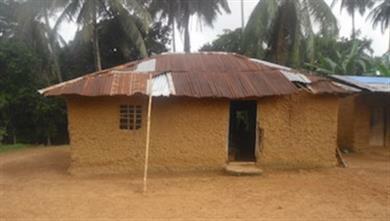 It is located in the Selenga Chiefdom about 14 miles from Bo, the second largest city in Sierra Leone. The village has a population of about 1,000 people and children from two nearby villages also attend the school, which is a one room mud hut with a tin roof. The overcrowded classroom makes teaching and learning difficult. The approximate cost to build a school is €40,000.00 ($55,000.00). Watch the video from Gbumbeh Village Chief, Swari Sandi. Watch the video from Schools for Salone Board President, Mr. Don Mooers Jr.
2014 marks a momentous occasion for EMG – it is 10 years since we set up our operations in China! In this year of the horse, decisiveness is key, and one of the best decisions we ever made as a business was expanding into China. Since then we have cantered and often galloped our way into pole position as the country’s leading B2B specialist agency – a true thoroughbred in our field. Time flies when you are having fun. It has been a year since I joined EMG and it has been great, with lots of “experiences” and no doubt more to come… I am proud to be part of an incredible team where space is given for growth and fresh happiness on a daily basis…what more do you need? When I joined EMG in April 2016, I became totally immersed in the preparations for the multi-client pre-K event in Antwerp. There were plenty of things that had to be done, from making badges and table-cards to working on media kits for the various participating clients. There was a lot to do – all to strict deadlines – but the work was varied and I really enjoyed the challenge. We all had a great time. See for yourself by watching the video and a collage of some of the highlights. A lot of people say starting a new job is a life-changing experience. I have never really believed that statement, but after going on a surprise trip to Berlin in my second week in EMG and moving house about two days later, starting at EMG really makes an impact. Something has really changed and I can’t wait to adjust to this lifestyle. In 2016 we've celebrated our 25th anniversary. At that time we picked a few highlights from our first 25 years as EMG. You can choose a milestone on the banner above or use the < past & present > buttons to take a journey down memory lane..